Picture this: Kim Kardashian in minimal clothing. Well, nothing new there, right? Kanye West in a T-shirt, doesn’t surprise anybody, wouldn’t you agree? Ariana Grande wearing a high ponytail is a look we’ve come to expect on the MTV VMA white carpet. But what we didn’t expect? 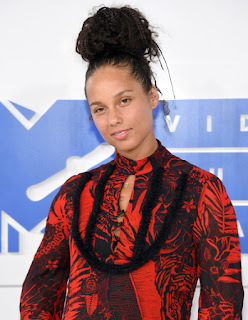 A star without a single visible stitch of makeup, which is exactly what Alicia Keys stepped in front of the spotlights without to present the award for best male video. The star first made her makeup-free red carpet debut at the BET Awards, when her makeup artist Dotti Streeters shared a photo of the star, writing “#nomakeupmakeup”. Taking her bare-faced look one step further last week, she appeared on a season preview of The Voice totally slap-free. I certainly think she doesn’t look like the same person at all. Unimaginable how makeup can change looks, without which in the end you cannot live without. Not too sure, however, that this will create a “revolution.” She’ll get away with it AND generate the headlines in the bucket loads, but I find it hard to see the average girl even getting noticed. So I think makeup it is, full speed ahead, regardless of how much Alicia Keys parades herself bare-faced in public. What do YOU think of Keys’ makeup-free movement? Potatoes—we all love them don’t we? 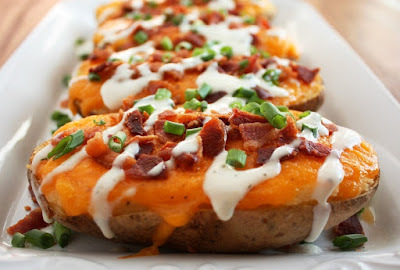 Think of the delicious baked potatoes, mashed or even the fried variety and your mouth will literally begin to salivate. And it’s understandable. They’re typically your American staple, and all around the world in one way or another. And hey, we love our food! However, a Harvard research report just out suggests that it raises the risk of high blood pressure. I know, it does sound a little over the top, doesn’t it? But hold your horses. Let’s first find out more about this dreaded report, and then we’ll try to ascertain whether or not we really have something to worry about. I will cut to the chase on this. There’s no need to dress this up anymore than we should just to fill column inches. The bottom line is hypertension and other diseases have been linked to high consumption of potatoes. Well—believe it or not, four or more servings of potatoes a week is considered high. And if we had to break it down to what percentages for each meal, then it works out at roughly 11 percent for baked, boiled, or mashed potatoes and 17 percent for fried—compared with eating less than a single serving a month. But what’s really baffling is that according to the researchers’ findings, potato chips didn’t appear to increase the risk. It doesn’t surprise me, because I was too until I also found out the following vital information. 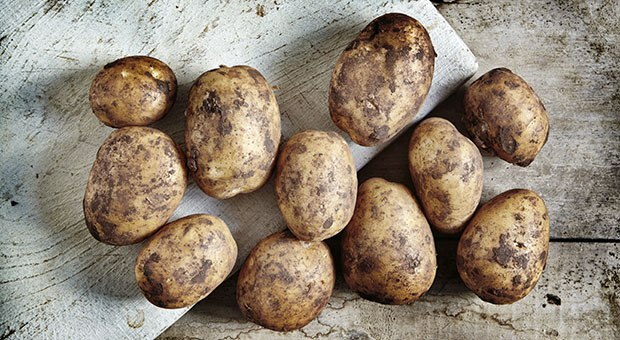 According to one dietitian, putting the blame on potatoes wasn’t quite right. And they go on to suggest that more likely than not, the add-ons people load onto their potato servings… like sour cream, bacon bits and so forth, played a major role in bringing on high blood pressure. Now let me wrap this up. Remember the weird findings that suggested that potato chips didn’t appear to increase the risk for high blood pressure? Well there you have it! The only difference here is that we never ever throw any add-ons to potato chips. I suspect all the potato consumers around the world will have a good night’s sleep after all. Phew! A new study suggests that popular American staple—the potato, when eaten in large quantities—whether boiled, baked, mashed, or fried—may quite possibly raise the risk for high blood pressure. The Harvard conducted research suggests that an increased risk for high blood pressure comes about with the consumption of four or more servings of potatoes a week, notably 11 percent for baked, boiled, or mashed potatoes and 17 percent for fried, as compared with eating less than a single serving a month. Surprisingly, according to the researchers’ findings, potato chips didn’t appear to increase the risk. “We hope that our study continues the conversation about potatoes and the risk of hypertension and other diseases,” said lead researcher Dr. Lea Borgi, of the renal division at Brigham and Women’s Hospital in Boston. But the blame shouldn’t rest with potatoes, says one dietitian not involved with the study, suggesting that it possibly had more to do with the add-ons people load onto their potato servings—commonly, sour cream and bacon bits. The study conducted by Borgi and her colleagues, who followed more than 187,000 men and women who took part in three large U.S. studies over a period exceeding 20 years. During that time, participants filled out questionnaires regarding their diet. The study reveals that none of the participants had high blood pressure at the beginning of the study. And in point of fact—according to the study, potatoes have a high glycemic index when compared to other vegetables, that alone will likely trigger a sharp rise in blood sugar… which would explain Borgi’s findings. Borgi also pointed out that this study didn’t prove potatoes cause high blood pressure, only that they seem to be associated with an increase in risk. The researchers went on to suggest that when you replace one serving a day of potatoes with a non-starchy vegetable, it stands to considerably lower the risk of high blood pressure.